Anthem-Cigna Merger Blocked By Federal Judge : The Two-Way The Justice Department calls the ruling "a victory for American consumers" because the merger would have reduced competition in the health insurance market. 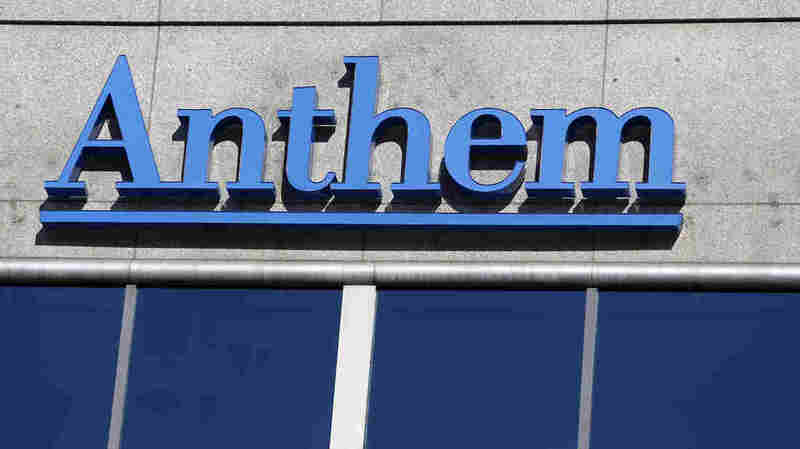 A federal judge has blocked Anthem's bid to merge with another health insurer, Cigna. The Justice Department had said the deal would stifle competition. A federal judge has blocked the merger of two major health insurance companies, Anthem and Cigna, after the Justice Department concluded that the deal would reduce competition in the health insurance market and raise prices. Judge Amy Berman Jackson of the U.S. District Court for the District of Columbia made the ruling. "If these mergers were to take place, the competition among these insurers that has pushed them to provide lower premiums, higher quality care and better benefits would be eliminated." Acting Assistant Attorney General Brent Snyder said Wednesday, "Today's decision is a victory for American consumers." A spokeswoman for Anthem said the insurer was reviewing the judge's decision and had no comment Wednesday night. A spokeswoman for Anthem says the company is reviewing the decision and has no comment yet. Last month, another judge barred the Aetna-Humana deal on the same grounds.